A considerable amount of research has been conducted about technological disparity within various classroom instructional practices; yet educators have concerned about the chronic underachievement of students in urban school settings. In order for technology to have its greatest impact on our educational system, teachers and student must not only access to technology, but access to technology in a contextual matter that is culturally relevant, responsive and meaningful to their educational practice. Results of this study revealed that socioeconomic status of the school still plays an important role in how well teacher are trained and their ability to integrate technology in the classroom. 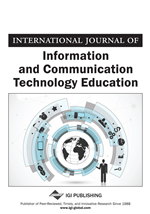 This study provides a platform for discussion on technology and instructional practices within urban school and to offer recommendations as we begin to rethink technological disparities and the intentional and unintentional affects on instructional practices.